Lifestyle Network expands its reach among Filipinos by adopting the new tagline “love your life” and a new logo that appears in its programs and social media platforms to communicate to young Filipinos. Lifestyle’s channel head Tippy Benedito says that the revamping was needed for the channel to evolve and connect with young, fun-loving Filipinos. “For 16 years, Lifestyle has established itself as the one-stop lifestyle hub for career-driven Filipinos. As the channel turns a year older, we have decided to cater to the younger crowd as well to involve them in the channel’s call to embrace and love life,” Benedito shares. 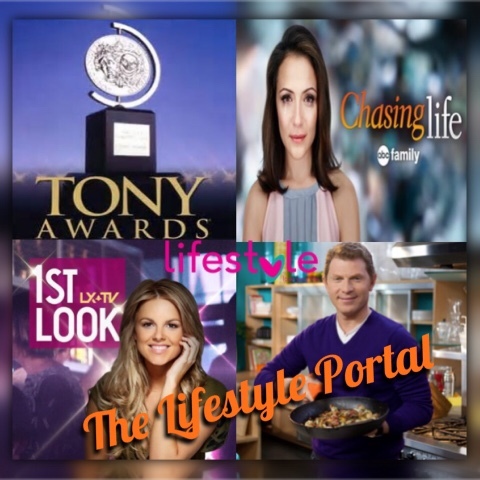 With its expansion, Lifestyle will launch a roster of new shows this June that appeals to its younger audience. Part of the line-up is the Emmy-winning lifestyle show “1st Look” hosted by Audrina Patridge, who shows the best destinations, adventures, and must-try eats each week. Beefing up the food programming strand are “Brunch @ Bobby’s Season 4,” the cooking show of renowned chef Bobby Flay and “Sweet Julia,” a sinful dessert show featuring Julia Baker, a patissier and master chocolatier who infuses sweet flavors in savory dishes. Lifestyle also showcases a brand new TV series that will hook young Filipinos. American drama “Chasing life” follows the life of ambitious twenty-something April (Italia Ricci) who is suddenly diagnosed with cancer. The rest of Lifestyle’s new shows this June are “Rachel Khoo’s Ktichen Notebook: Cosmopolitan Cook,” “Model TV,” “Italian Food Safari,” and “Port Town Walks in Hokkaido.” It also retains its originally produced shows, “Listed,” “Food Prints,” “Curiosity Got The Chef,” “Lifestyle Shorts,” “A Pinch of Portia,” and “Scene & Heard,” among others. Aside from new titles, Lifestyle continues its aim of bringing Filipinos closer to the international scene.